Mirror mirror on the wall, which is the least distracting of them all. Photographing mirrors for jury images presents a challenge because what’s reflected in the mirror is a distraction when viewed by jurors. When shooting the pictures, the best way to handle it is to control what’s reflected in the mirror. If necessary, shoot the mirror off center to better control the reflection and then square the mirror up in Photoshop. An even better way to control the reflection is to do nothing during shooting or set it up so what’s reflected is completely different in color or brightness. Afterwards, do a selection on the glass in Photoshop and drop a gradient into the glass like the examples above. 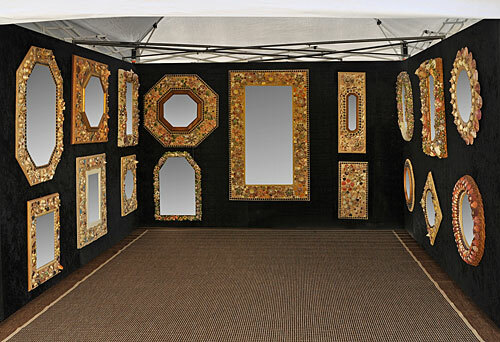 Multiply that ten fold for the booth picture which can contain multiple distractions as the mirrors on the walls face different directions. 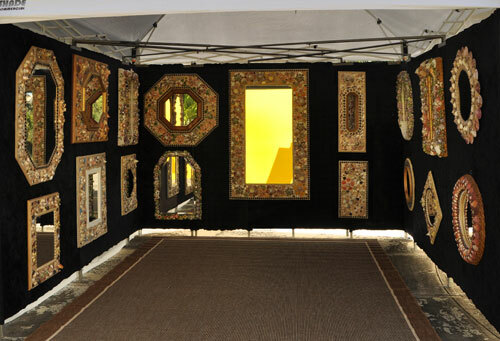 You can see more examples of my improved jury and booth images on this page of the web site.